We develop products with manufacturers across the U.S., many of them small, family-run businesses passed down through generations. 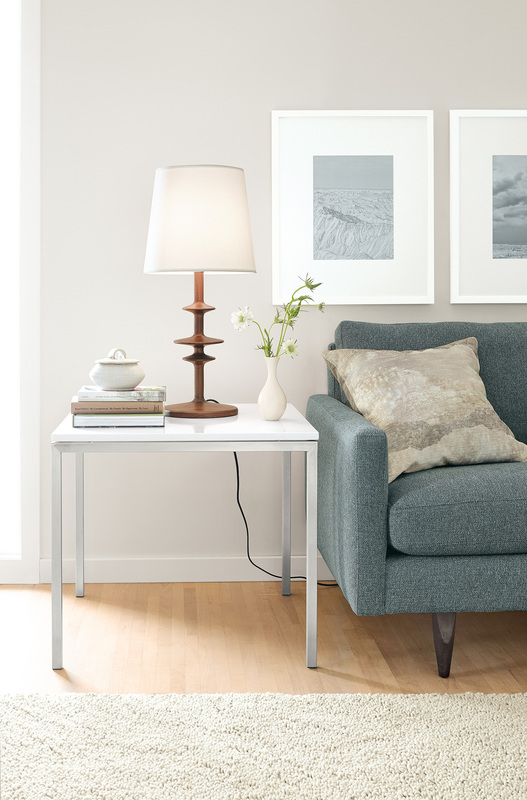 MH Parks, maker of our Parks table lamp, is one of those companies with a rich history we love to share. Travel an hour west of Boston to Winchendon, Mass., and you’ll come across a building on the Millers River that tells a story as inspirational as the craftsmen who work there. In 1827 MH Parks started his business in the building, creating barrel covers, spools and bobbins. Generations later, MH Parks creates furniture and accessories for today, like the Parks table lamp. No matter the intricacies of the product, owner Todd Parks and the artisans who work with him figure out a way to make exactly what we need, often creating their own machinery to ensure the job gets done right. Of the 30 employees who work at MH Parks, the large majority has been with the company for over more than 20 years, exploring their passions and becoming experts in their craft. We designed our Parks lamp to showcase the beauty of turned hand-turned wood. It is made from solid wood on the same lathes that manufactured spools and bobbins in the mid-1850s. Paired with a white cotton shade, this beautiful and versatile light adds unexpected shape to any room. The lamp’s three-way switch and halogen bulb offer multiple levels of light output, while a fabric-wrapped cord lends a vintage feel. Bring home lighting that is equal parts art and function.